Mourinho, a former manager of Juventus' great Serie A rivals Inter Milan, said afterwards: "That sign that I made is actually not an offence. I just wanted to hear if they'd [the fans] make comments again or not. "Obviously when I work for a club like Manchester United, I need to forget my past, especially in the 90 minutes. It's not that during the 90 minutes I keep thinking I was coach of Inter or Real Madrid or Chelsea. In those 90 minutes I represent Manchester United. "But they didn't forget, the others didn't forget that I was. Of course I do my job, and my job was to win against Juventus, and it is a great joy for me, because we have won against such a super squad, a super team. I've come here as a professional and I have a great respect for a fantastic team." 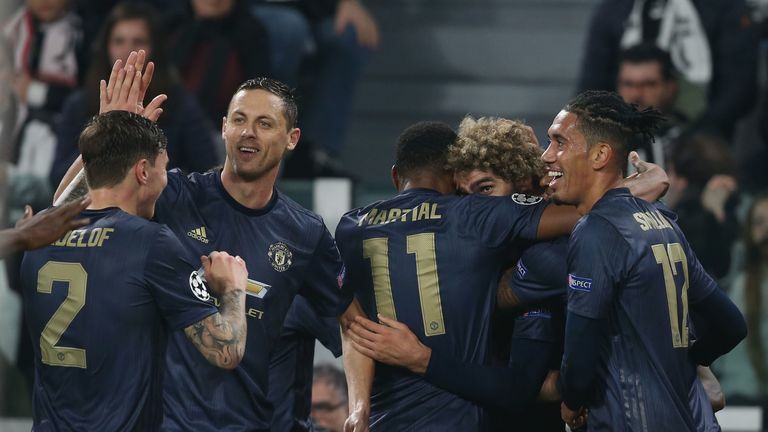 The win is United's best this season against a Juventus side that Mourinho has called favourites to win the Champions League. 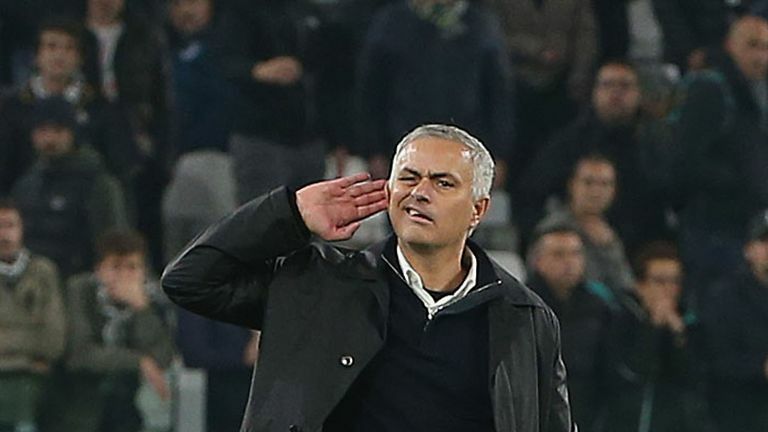 "They want to win everything, they can win everything, and we are a team where many of the players didn't play big matches like this in the Champions League," said Mourinho, whose United side face Manchester City on Sunday, live on Sky Sports. "It is a fantastic victory for us, a victory that is not just about the points, but about the feeling of how well we played. Even if this game doesn't hand me the victory, I would have the same feeling of the team playing really well from the first minute, I repeat, against a super team. "I think we played this season against Chelsea and Juventus away, the two best teams that we've faced this season, and played very well in both. "In here, we were lucky to win in the last minute, and at Chelsea, unlucky not to win in the last minute, but we played very, very well. This is what we want, we want to play well, go to every stadium where it doesn't matter the team, and play."